More than half of all organizations globally report having difficulty retaining some of their most important employees, and as the labor market continues to tighten, those issues will only get worse. This leaves HR professionals and company leaders with an uphill battle to better engage and retain employees. Benefits programs including PTO and family leave are becoming far more competitive, and companies must find new, innovative and relevant ways to stand out in this tight labor market. This is especially true for companies whose workforce is comprised of hourly, part-time, seasonal or gig workers where traditional benefits packages may not be viable or cost effective. Finding unique resources and employee benefits that are more relevant to these audiences is essential to staying competitive in the hiring and employee engagement landscape. Data shows that personal finance issues have a significant impact on job performance and engagement, yet as recently as two years ago, only 23 percent of organizations were offering financial literacy education, often overlooking the critical role that money management, financial education and modern financial tools play in enabling workers to better manage and using their income. By integrating financial literacy education into your organization’s overall compensation program, companies can give employees access to information and payment tools that can have a profound impact. A new Employee Financial Wellness study from PWC found that 54 percent of workers overall are stressed about their finances. And the younger the worker, the more likely they are to be worried, as 64 percent of Millennials said they are stressed about their finances. These issues have a direct impact to employee productivity and health – 46 percent of workers spend three or more hours during the workweek dealing with or thinking about financial issues3. The good news is that things are changing. As personal finance continues to be a challenge for much of the working population, more employers are recognizing the need for financial literacy and guidance for employees. A 2017 study from the Society of Human Resource Management showed that, within the past five years, companies offering some type of financial advising or education benefits has nearly doubled, with roughly 50 percent of employers offering these resources. What’s more, increasing employees’ ability to manage money was cited by HR and benefits professionals as the single most important reason for providing financial education as part of their employee programs. Fostering a more financially educated workforce drives benefits for both employee and employer, by helping to reduce or manage financial drivers of employee absenteeism, stress and other performance detractors, while also improving employee engagement and a more committed and loyal employee team. Pairing educational resources with payment tools – such as payroll cards – allows employees to put their newfound knowledge into action using technology and resources to access their own money, and make better financial decisions. Knowledge is power, and the resources that payroll cards and accompanying technology provide are a great first step in better money management. Financial education and literacy can take many forms, and business leaders must understand and be responsive to their employees’ most pressing needs. While long-term financial planning for milestones like retirement are important, studies show that most people are unprepared to fund even minor unexpected expenses, punctuating the importance of day-to-day money management and budgeting tools and techniques. Technology has become a huge driver of many people’s money management, but those without a traditional bank account have been stuck in a cash-only money scenario. With the rise in use of online and mobile banking, stronger engagement and a more hands-on approach to money has become the dominating trend for banks over the past decade. Sadly, many hourly or seasonal workers are effectively locked out of modern finance and budgeting tools because they operate in a cash only world or do not have a bank account. But employers can now tap into those same trends and tools in online/mobile banking to offer a key connector beyond traditional banking, allowing employees to have the same access and control over their funds as someone with a traditional bank. These tools equal inclusion and access for many employees who rely on cash. Numerous day-to-day transactions that many people take for granted simply cannot be made with cash such as renting a car, or staying in a hotel, but become infinitely easier with the purchasing power of a payroll card. Resources like text alerts and online/mobile apps help drive stronger engagement between employees and their money. These tools also support greater access and control over bill pay in unique ways for a variety of employees. In the U.S., 73 percent of online bill pay is now done through biller-direct sites instead of banks. The need for easy online access to funds is a reality now for nearly every U.S. worker. By providing employees with a physical payroll card, accompanied by powerful online and mobile money management systems, employers are providing real, powerful benefits to employees. We recently highlighted how the gig economy is changing the way that employees earn money, and get paid. This shift towards employee-centric payroll means that companies are empowering their team and placing them in the driver’s seat of their own finances. The reality is, many people still have a need for physical payment options. Even online payment giants such as PayPal and Venmo have launched a physical card for users that bridges the gap between in-person payments and their online payment services. Things as simple as buying gas, food or entertainment rely on physical cards or cash. In 2017, more than half of consumers say they still prefer to shop in physical stores, making the need for cash and physical currency (including cards) a reality for a majority of employees and consumers. Offering employees a resource such as a payment card that is not credit along with online/mobile money management resources provides them with all the tools to manage money and make purchases online, with the safety and security of a card to make everyday purchases seamless and easy. Recently, with the rise of ride sharing services such as Uber and Lyft, many major taxi cab companies and fleets have been looking for ways to better attract and serve drivers. In learning of ways that technology could better serve their needs, Prepaid Technologies developed a mobile app for area riders and, using an API integration with the cab operators, we presented each driver with a company branded prepaid card and immediate delivery of funds. Drivers no longer have to wait in line following their shift to cash out, and the cab fleets have a new competitive advantage for driver retention. At a time when the workforce continues to tighten, providing unique perks and tools to employees is becoming one of the major keys to future success for HR and business leaders. Providing resources for employees to better manage their funds is yielding more financially-educated employees, building employee engagement and creating a stronger potential for long-term relationships with employees. 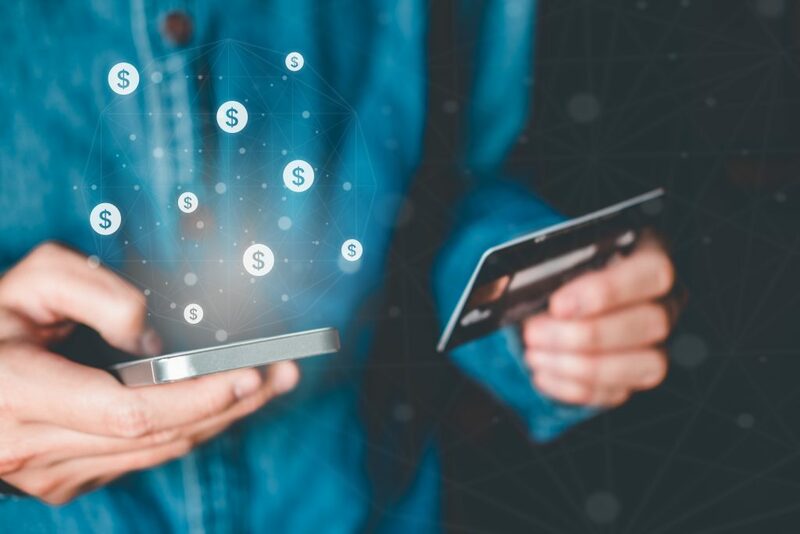 In a world where the lines between online and physical purchasing power continue to blur, prepaid solutions provide a key resource to better connect employees to their money. Looking for ways to provide valuable perks for your employees? Let’s talk.